1980年8月, 黄瑞坤牧师从臺湾来美国阿拉巴马州留学时, 因在查经班听到福音, 神藉著一次流鼻血不止及考试成绩拿100分的见證, 使他信了主, 并受洗归入耶稣的名下。随後在学校查经班及美国教会裏学习和追求, 成为阿拉巴马州立大学查经班主席。毕业後, 在阿拉巴马州Huntsville 找到软体工程师的工作, 就在那裏的教会事奉, 在1983年时, 神就赐给他圣灵的恩赐, 使他热心的追求主。後来因他的姊妹生病, 耳鸣十分的严重, 就搬到加州圣地牙哥休养并换工作, 一直在华人傳道会事奉九年。然後由於工作的关係, 再搬到加州圣荷西的生命河灵粮堂事奉, 与刘彤牧师同工十年之久, 从小组长做到区长, 从区长到被按立为生命河灵粮堂的区牧, 并且将一个大牧区分为两个牧区。 2003年一月在禁食祷告寻求神的方向时, 神藉著两个不同的姊妹, 在禁食祷告後隔一天, 告诉他去神学院读书, 其中一位姊妹甚至在加拿大半夜12:30 AM时打电话给他, 这是一个十分奇妙的经历。神给他一个经文在马太福音9:36, “他看见许多的人, 就怜悯他们。因为他们困苦流离, 如同羊没有牧人一般。”神给他一个怜悯人的心肠, 关心失丧的灵魂, 愿意摆下一切来事奉神。没想到在一次丰收献身聚会裏, 发现这个经节也是神给丰收神学院的异象, 於是他再次确认, 他去丰收神学院读书是出於神的呼召和拣选. 他在生命河灵粮堂完成了两年半的工人训练学校後, 由於部份学分可转到丰收神学院, 他已在2004年六月初完成神学硕士的学位。 2003年八月他带了一个短宣队, 到加拿大蒙特娄市短宣, 出意料之外的, 神已经在那裏做松土的工作, 在短短的两天佈道会中, 他就带领了许多人信主, 并医治了许多人的疾病。最近, 因为神的带领, 他就在三藩市的荣光灵粮堂事奉主, 这个教会已正式成为矽谷生命河灵粮堂大家庭中的一份子, 希望神能继续使用黄牧师, 使他的事工是一个 “只见耶稣, 不见一人” 的事奉, 并带下三藩市的复兴。 愿荣耀和颂讚, 都归给那爱我们的主耶稣基督! In August, 1980, Rev. 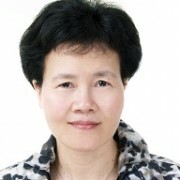 Charlie Huang came from Taiwan to the graduate school of aerospace engineering at the University of Alabama. He heard the gospel from the university’s bible study group. God used a testimony of nose bleeding and excellent grades to lead him to Christ. Then, he became the chairman of the bible study group. After graduation, he got a software engineer job in Huntsville, Alabama for 4 years. Due to his wife’s sickness, he moved to San Diego for 9 years and served in Chinese Evangelical church. Once he found a better job opportunity, he moved to San Jose and worked with Rev. 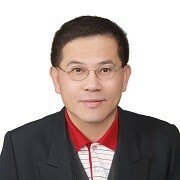 Tong Liu for 10+ years. He worked from cell group leader to district leader and district pastor at River of Life Christian Church. In January 2003, Rev. Huang did a fasting prayer to seek his direction from God. God used two different sisters to tell him to study for seminary and prepare himself to serve the LORD. One sister even called him at 12:30am from Canada because God asked her to call Rev. Huang about studying in the seminary. So, he went to a special conference in Harvest Seminary and found out the mission statement of this Seminary using the same bible verse (Matt. 9:36) that God used to call him out. Then, he completed the coworker training and Harvest Seminary to get his master degree of Theology. In August, 2003, Rev Huang led a short-term mission team to Montreal, Canada. Surprisingly, God already did the miraculous work ahead of them. In this evangelical meeting, God led many people to Christ and healed many sick people. Due to God’s calling, he now serves the LORD at San Francisco Glorious Light Christian Church. GLCC formally became a family member of River of Life Christian Church. May God continue using Rev. Huang to a ministry of “Seeing Jesus Only, Nobody Else” and bring the revival to the San Francisco community. May the Glory and Praise belong to our LORD, Jesus Christ, who loves us deeply forever! 同時神感動我進豐收神學院接受裝備, 對我牧會有極大幫助。 透過牧會, 我真實體會牧人心腸, 用愛心、耐心牧養群羊。 同時, 我也更懂得倚靠 神, 不能倚靠過去的經歷。生命再次被 神破碎、煉淨。 如同葡萄樹與枝子的關係, 枝子需要被修剪才能結更多果子。 盼望我們不住的禱告, 這些年間在三藩市看見 神復興的作為, 經歷 神豐富的應許, 賽55:11 “…在我發他去成就的事上必然亨通”。 願榮耀、頌讚歸於 神!